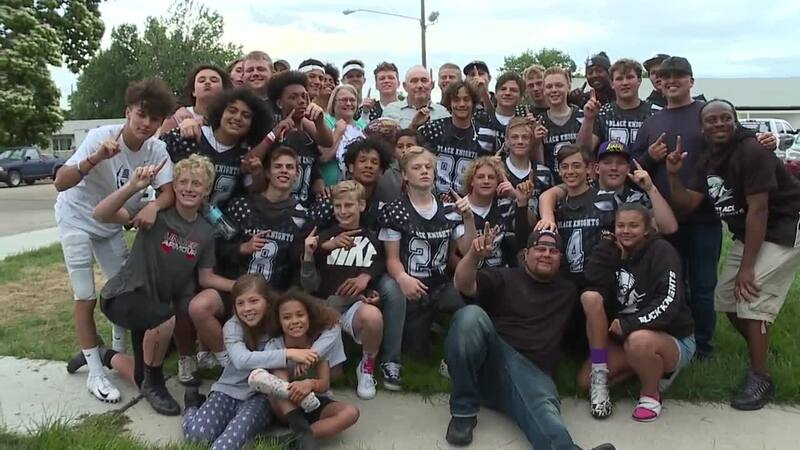 A heartwarming update to a story we brought you first on 6 On Your Side -- a local youth football team reunited with the couple they saved on Tuesday after a wreck along Highway 95. "This is like a family reunion. I hardly know these kids but they are good kids," said Alan Hardman, a survivor of the car crash. Alan and Margaret Hardman's recent visit to Boise to see family has been even more special than normal. But the couple almost didn't get the chance to see their daughters, who they're in town to visit. On Tuesday, the Hardmans were driving along Highway 95 when Margaret lost control of their Jeep. "She woke me up by her scream. She said, 'What do I do?' I said, 'Well, we got to get it stopped'. So, she hit on her breaks." Unable to gain control, the jeep flipped four times. The couple says that stretch of highway road is usually deserted, and as panic started to kick in for the two, something incredible happened -- their guardian angels, who go by the name of the Boise Black Knights, came to their rescue. "They were in the right place at the right time," said Margaret Hardman. The youth football team was traveling back to Boise after winning the national championship in San Jose, California. When they saw the wreck, the players and coaches immediately jumped into action, trying to lift the rolled-over car. Alan and his daughters say the scene was all too familiar. They lost a brother in an accident 12 years ago. "When I saw the roof caving in on me, I thought, this is it," he said. The Hardmans believe that same brother was also watching over their family this week and what could have been a tragic event has turned into something positive. 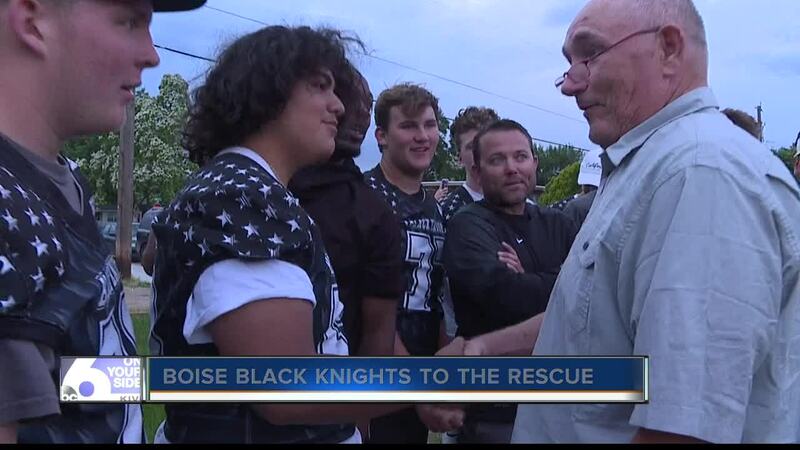 Boise's Black Knights took a break from scrimmages to check up on the Hardmans on Thursday, and if saving their lives wasn't enough, the young athletes brought food and presents to cheer up the recovering couple. The Hardmans, who have nine kids of their own, say they have plenty of room in their hearts for more -- maybe a whole team. "This is just amazing," said Margaret Hardman. "I am so happy. It's wonderful to see them all come up and hug me. It just makes me feel so wonderful. I will never forget it."